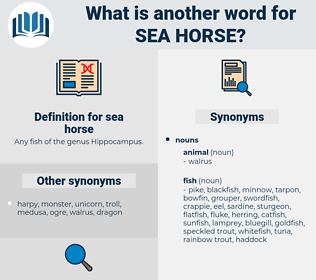 What is another word for sea horse? 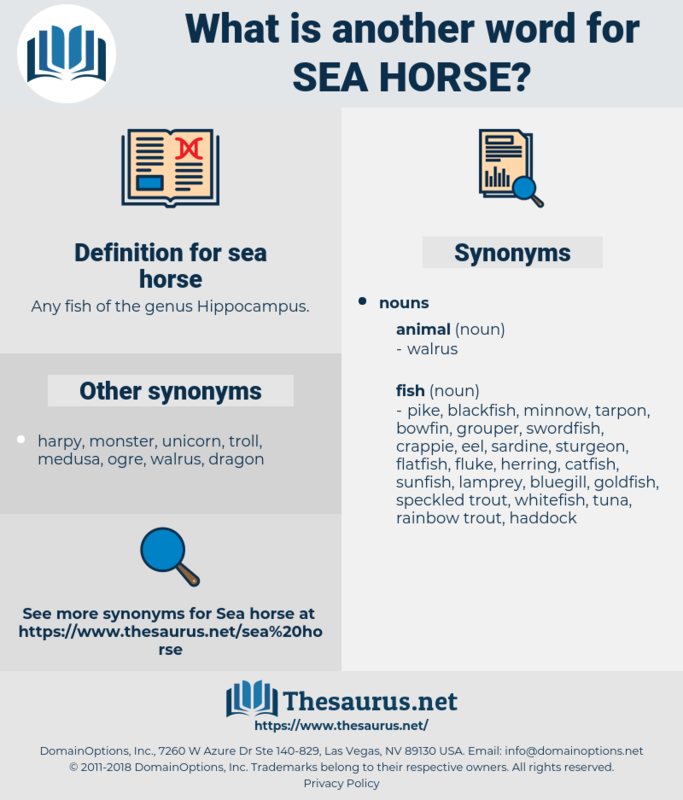 Any fish of the genus Hippocampus. scrag, syracuse, scrooge, screw key, siriasis, skreak, scours, sayers, Sirach, sericeous, shiraz, sorgho, sirocco, serax, seagrass, scores, saurischia, scourge, squaw grass, sirius, sewerage, shire horse, sorgo, Skagerak, seiurus, screw jack, scissors, sargasso, scraggy, sewer gas, scissors kick, sciurus, SIRC, saragossa, scarce, serous, shark, susurrous, serge, shrug, secrecy, scheuchzeriaceae, screechy, squirearchy, squarish, scherzo, search, shriek, screak, sewage works, surge, siracusa, sawhorse, scorch, sourish, siqueiros, shag rug, susurrus, sikorsky, sazerac, skew arch, squark, sucrase, saurosuchus, sack race, shrewish, Sargasso Sea, screaky, siris, source, Skagerrak, sea wrack, shirk, sorus, seahorse, sucrose, sorex, shakers, Showy Orchis, shears, ski race, scorsese, saccharose, sugar cookie, serosa, saururus, series, screech, saururaceae, skreigh, sage grouse, SARS, shrike, serious, surcease, saccharase, ski rack, sarawak. hippocampus, genus hippocampus, odobenus, Genus Odobenus. Odobenus Rosmarus, Atlantic Walrus, pacific walrus, Odobenus Divergens. pinnatiped, pinniped, Pinniped Mammal, pipefish, needlefish.